The Sentry 4T3110 includes Fire, Explosion and Impact protection for your important documents. The drawers are designed to hold letter sized documents and have rugged suspension for easy movement. The lock/unlock feature allows one drawer to be open while the others remail locked. The lock on this file cabinet is a plunger key lock. 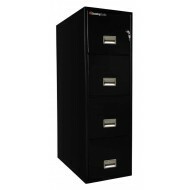 This is a large capacity fire protection file cabinet for storage of your most valuable documents, files and records. 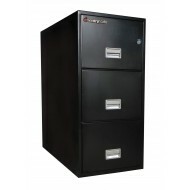 The Sentry 4G3110 4-Drawer fire rated file cabinet will hold both legal and letter size documents. It has a UL one hour fire rating and a UL impact rating. The model was dropped 30 feet and the file remained intact and the drawers locked. 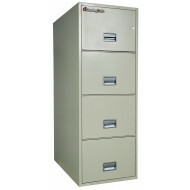 This Sentry 3 drawer fire rated file cabinet is built to last! 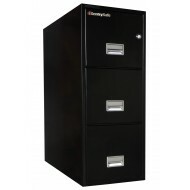 Fitted with Medeco locks for extra security against pry attacks, picking, and other break-in attempts, this cabinet will keep your files and records safe. Protected against fire, explosion, impact and water. 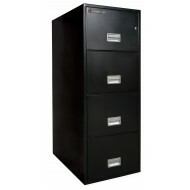 The vertical file will accommodate either legal or letter size documents. 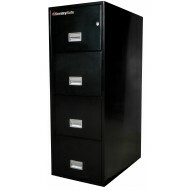 Get a free digital media chest, the Sentry 1100, when you order this fire rated cabinet! Protect hard drives, discs, tapes, memory sticks, and other digital media in this 1/2 hour fire rated case! 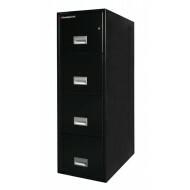 This vertical file cabinet has four drawers set up to hold letter size documents. 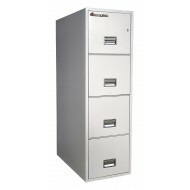 The4T3131 four (4) drawer vertical cabinet comes set up for hanging file folders. 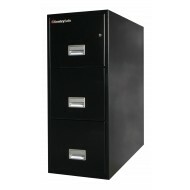 The 4T3131 has triple protection for your important papers. It has a UL one hour rating. 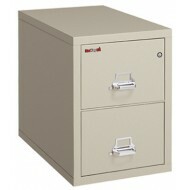 It also is a UL impact rated safe. It was tested and survived a drop of 30 feet without the drawers breaking open. Finally, the 4T3131 has water resistance....it passed the ETL test of one hour of water or sprinkler spray. The Sentry 1100 digital media chest is included when you order this fire rated cabinet! Protect hard drives, discs, tapes, memory sticks, and other digital media in this 1/2 hour fire rated case!